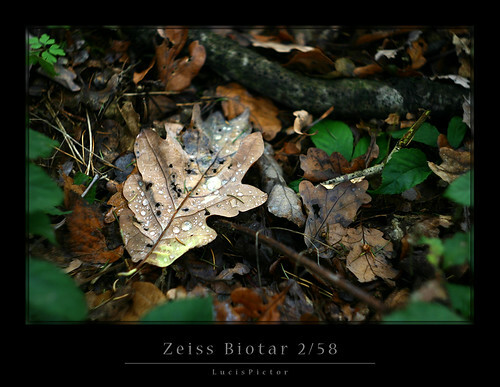 This week I will shoot with the Zeiss Biotar 2/58, a lens that I just have converted to EOS mount using a LeicaR-EOS-adapter, some superglue and EasyTac. It worked well. Please, don’t hit me for transferring this lens into the digital age! 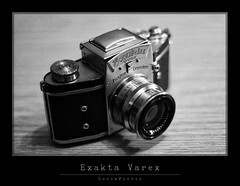 😉 I have hardly shot with the Exakta Varex that had this lens mounted. It’s a very nice lens. My Flickr contact Alf Sigaro shows the lens diagram. It’s a 6 element design but my copy does not have the famous T-coating, so reflections can be a problem when the lens is used wide open and with some light from the side. For the same reason there are some coma effects and halos visible towards the edge of the image frame. A good hood helps, though. I use a vented hood for a rangefinder Summicron or one of these classic conical ones. Distortion is nicely low and the bokeh is very interesting, really “characteristic” I’d say. It’s one of those lenses that seem to have their own “personality” which you need to understand in order to use properly. The close-up functionality of this lens is not that good, it only focuses down to about 90cm; you could, fo course, always work with close-up lenses or other additional equipment. 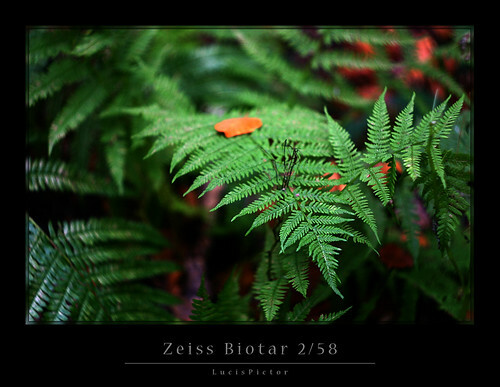 This Biotar is not made for all scenarios and certainly not suitable to produce that neutral style of modern AF lenses, but if you find an approach to this lens, it can give you some fascinating shots. This lens is nicely built and provides a pleasant feeling of solidity – quite typical for the “early” Carl Zeiss Jena lenses. 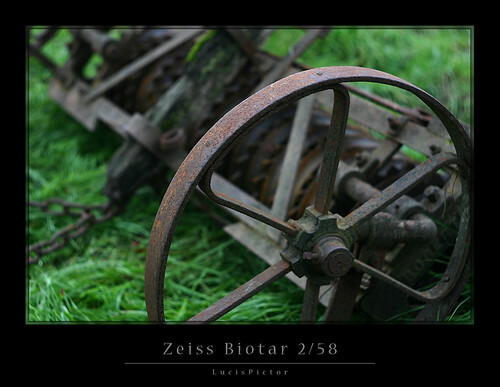 The Biotar 2/58 series was built between 1946 and 1960 in different versions. My copy offers apertures from f/2 to f/22, some copies only go to f/16 (which is not really a problem, is it?). Haptics are great, there is just one problematic issue: with some lenses the focus ring does not turn smoothly any more which is due to a stiff volution. My copy also suffers a little from that, but it’s not too bad, it’s still well usable. 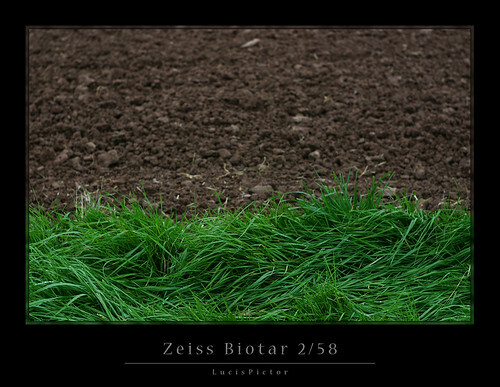 Since the EXA mount gets into the way of the EOS 5D mirror, I shoot this lens on a crop (1.6x) DSLR. My 40D is mainly “reserved” for my AF lenses, so the EOS 300D will be the “weapon of choice”. 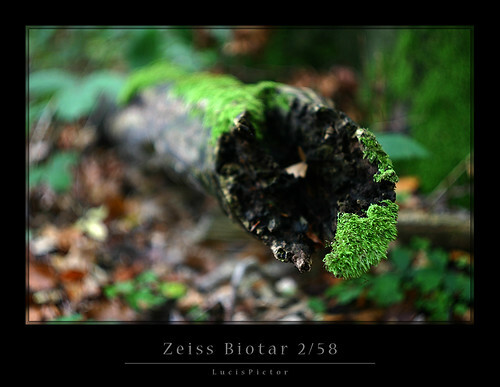 This Biotar doesn’t go where my Leica Summicron 2/50 resides at: the top. But it is a fine lens, capable of producing nicely rendered and very special images, if you know how to use it. And it really shines on smaller, e.g. APS-sized sensors.